*NEW* SportDog Sport Trainer 1600M Remote Training System Rechargable – LAPTOPS FOR LESS Inc.
That’s not some marketing mumbo jumbo written by a bunch of suits. We really are just like you and your buddies: Obsessed with dogs and hunting. And like you, we spend as much time as possible walking the prairie, roaming the woods, or searching the sky from a waterfowl blind. The SportDOG Brand SportTrainer 1600 m Remote Trainer puts countless training options in the palm of your hand. This system provides flexibility in training with up to 8 stimulation levels and a choice of momentary or continuous static stimulation. Vibration and tone options further help you build a customized training system to guarantee the best performance from your dog. With 1,600 metres of range, a slim profile Collar Receiver that ensures a perfect fit and a compact transmitter that’s easy to handle, once again SportDOG Brand delivers on our promise: Gear The Way You’d Design It. 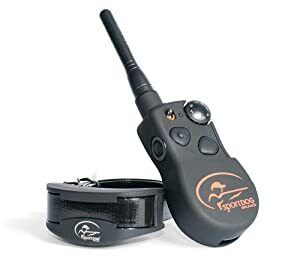 The SportDOG Brand SportHunter SD-1825E remote trainer has been proven safe, comfortable, and effective for dogs over 3.6 kilogram. Consistent, correct use of this product allows you to reinforce commands and correct misbehaviour from up to 1600 metres. 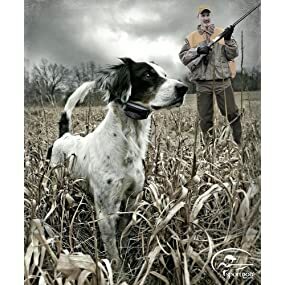 Like all SportDOG Brand products, this model features adjustable stimulation levels so you can tailor the stimulation level to your dog’s temperament.